Home / Archive by Category "Fantasy Game"
Bandai Namco has presented two new videos of One Piece World Seeker: its introduction and a gameplay trailer . We show you both videos so you can get an idea of ​​what awaits us in this adventure for PC, PS4 and Xbox One. The promising One Piece World Seeker has been seen again thanks to two new videos presented by Bandai Namco . The first of these videos, which you can find at the top of this article, is the introduction of the game. Thanks to him we can discover how the opening of One Piece World Seeker will be , which reviews the main characters that we will meet during the adventure. The second of the videos, we leave you under this paragraph, is a gameplay trailer with which we can learn more about the history of One Piece World Seeker and its combat system. 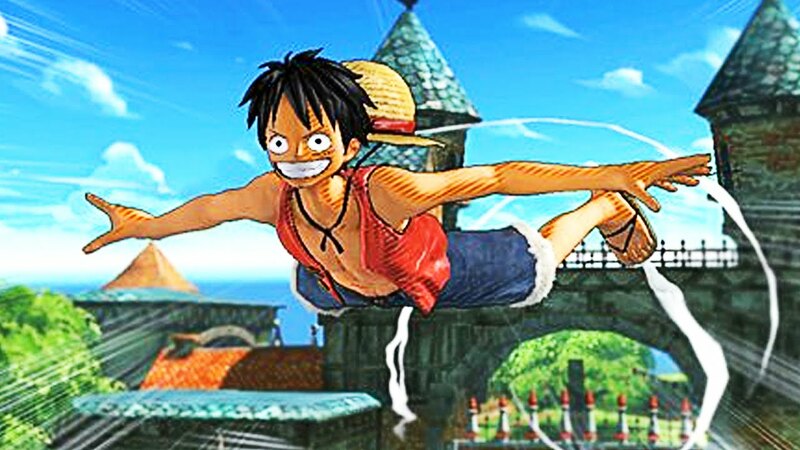 As you will know if you have been following the track to One Piece World Seeker, in this new adventure we will control Luffy , the main protagonist of the One Piece franchise, in a huge open world. This will give us the opportunity to travel the world of One Piece freely and to visit some of the main locations we have seen in the manganime whenever we want. It will be on March 15 when One Piece World Seeker is put on sale in our territory for PC , PS4 and Xbox One. In addition, the title promises to have one of the deepest and most complete stories of the views in One Piece video games and it will arrive to our territory with Spanish subtitles and voices in Japanese, so lovers of the purest manganime will be able to enjoy the original voices of its protagonists without losing anything of the game’s argument, which will be completely original. Set of 3 exclusive A6 size postcards from One Piece World Seeker. DLC with additional mission “Strange Rocks and two extra costumes:” Military Suit “and” Swim Suit “. Game One Piece World Seeker. Exclusive full-scale replica of the devil’s fruit gum-rubber. Original Soundtrack composed by Kohei Tanaka. Season Pass of the game. Luffy’s exclusive figure of 21 CM. DLC with additional mission “Strange Rocks” and 2 extra costumes. Set of 3 exclusive postcards.